Is Ashley Parker Angel Gay ? Ashley Parker Angel is an American singer, songwriter, and actor. He rose to prominence as a member of the boyband O-Town. After the band separated he had a short solo music career. Later he refused a reunion tour with O-Town in 2011. Parker Angel has performed in many Broadway productions since 2007, and most recently performed in Wicked as male lead character Fiyero Tigelaar. Ashley Parker Angel is currently single. He was in a long-term relationship with his girlfriend Tiffany Lynn. Tiffany is an American model and actress. The couple dated for many years and after five years of romance, they engaged in May 2004. The pair seemed happy with each other but due to many reasons, they separated in June 2008. The duo also shares a son, Lyric Lennon (Born August 2006) together from their affair. Following the break-up, Ashley dated actress Jillian Murray in 2009. The pair was seen several times in different places. They dated for a year from eventually parted ways in 2010. The Longshot actor seems content living alone at the moment. And surely he will get a matching partner in the days to come. How Much Is Ashley Parker Angel's Net Worth? 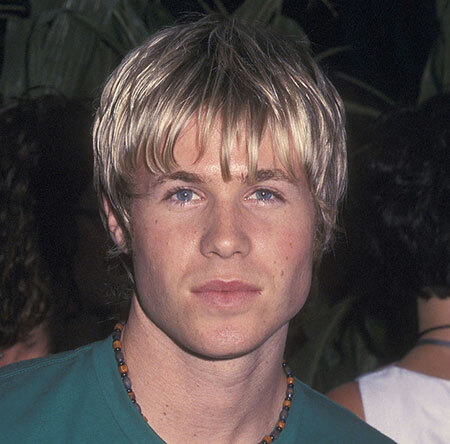 As of 2019, Ashley Parker Angel possesses a decent net worth of $1 million. He accumulated his fortune thanks to his flourished career in singing and acting. At the same time, he earns handsome payroll endorsing the products of several brands. He reportedly earns $780-$1300 per post for promoting various products and brands. The singer is also quite popular on social media platforms like Facebook, Instagram, and Twitter. He posts pictures and videos of himself and also promotes products on his social media. Ashley Parker Angel was born Ashley Ward Parker on August 1, 1981, in Redding, California, United States. He is the son of Darren and Paula Parker, and raised in the town of Redding, California. His grandparents are of German and Irish descent. He was named after the fictional character Ashley Wilkes, his mother's favorite character from classic super hit movie Gone with the Wind. When Ashley was three years old, his parents divorced. Later, his mother later remarried, and Ashley was legally adopted by his stepfather, Ron Angel. He also has two sibling brothers, Taylor and Justin and two sisters, Annie and Emily. From a very early age, Ashley studied the piano, as his mother Paula was a piano teacher. At 16 years old, he signed with a small talent agency in his hometown and started searching for opportunities to work in entertainment. The Let You Go singer holds an American nationality and belongs to the mixed ethical background. He has a tall height of 6 feet 2 inches. Similarly, his eyes are blue and hair is blonde in color. Currently, the Switchblade singer is 37 years old. Ashley Parker Angel was in a long-term relationship with his girlfriend Tiffany Lynn. Tiffany is an American model and actress. The couple dated for many years and after five years of romance, they engaged in May 2004. The pair seemed happy with each other but due to many reasons, they separated in June 2008. Ashley's girlfriend became actress Jillian Murray in 2009. The pair was seen several times with each other in different places. They dated for a year from 2009-2010 and eventually parted ways. Lyric Lennon was born in August 2006 from Ashley Parker Angel and Tiffany Lynn. Lyric is currently living with his mother Tiffany.